Knoxville, Tennessee: On our way home from our Madeira Beach, Florida vacation, Dexter The Dog, Grandma, Eddie, and I had an overnight stay in Knoxville, Tennessee. We tend to travel 8 hours or so, before stopping for the night. 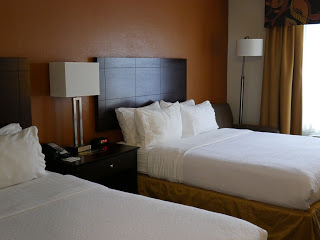 Before even starting on our adventure to Florida, we had booked a two queen bed suite at Holiday Inn Knoxville West. Another perfect location for us, just off Interstate 75. Easy on and easy off. View of potty area from our room. Holiday Inn Knoxville West grounds were very well kept. The folks did the check-in while I walked Dexter on the dog-friendly grounds. Our room was ideal for dog guests. We were on the ground floor with convenient access to a pet walking area that even included a pet pick up station. 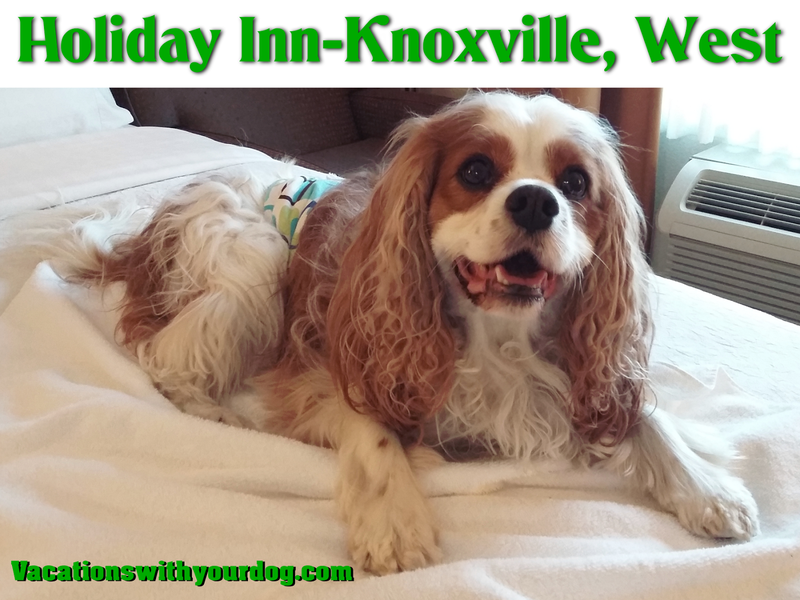 The dog-friendly hotel in Knoxville, TN was perfect for our overnight stay. 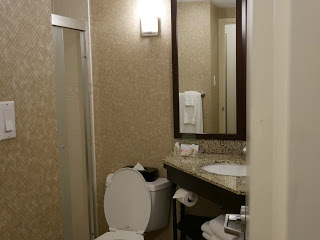 We had two very welcoming and comfortable queen beds, work space, refrigerator, microwave, coffee maker (including tea bags), and a nice bathroom including some pampering items. The Holiday Inn included an indoor dining restaurant, Gibby’s Dining and Drinks, so we didn’t even leave the hotel once we arrived. The folks ate at the restaurant while Dexter and I enjoyed the restaurant take-out-style. We missed out on their cushioned chairs, drinks from the bar, mingling, and live entertainment and dancing, but enjoyed our meal just the same. 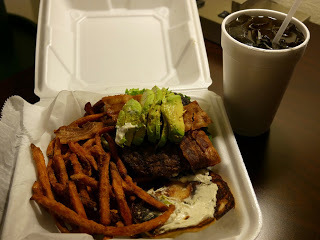 I had an amazing fresh hamburger loaded with avocado and hand cut fries. It was delicious and cooked perfectly. The hotel stay was quiet and peaceful. Just what we weary travelers needed. After a restful sleep, we hit the road to head back to Ohio. 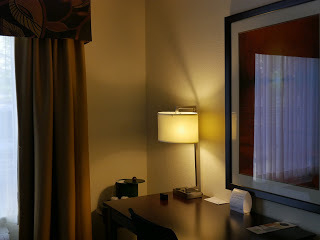 Staying at Holiday Inn Knoxville West in Knoxville, Tennessee was a great experience. It is certainly a dog-friendly hotel I can recommend with confidence. The grounds were well-maintained, it was a perfect location off the highway, family friendly and I appreciated the indoor restaurant. Does your dog enjoy hotel visits? Tell me in the comments below. It looks like you had a wonderful stay at the Holiday Inn in Knoxville. It’s great that they gave you a pet friendly room, with access to the pet ground. We had the best spot in the hotel. It’s super nice to be able to get outside quickly. glad to hear that there are more options like this! planning to get my first puppy next year so info like this is very helpful to me! 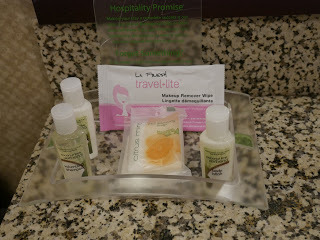 A clean dog friendly hotel? I will take it. Allowing pets is a huge perk since we travel with our sometimes. Yes. I’m no longer staying in nasty hotels. Thanks. Yes, a nice potty area is always important. Always love reading your posts on pet friendly travel places. They are always so useful. 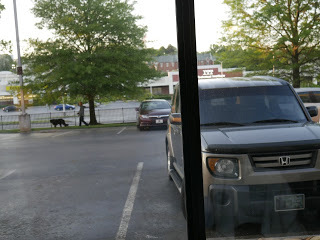 I didn’t realize they were a dog friendly hotel. We usually head to pigeon forge TN once a year. Pigeon Forge is a great spot! Yes, this location is dog-friendly. Not all Holiday Inns are. The Holiday Inn Knoxville West-Knoxville, Tennessee seems like a nice place to stop on a trip. Glad you had a pleasant stay. It was a lovely hotel. Perfect spot too. That’s so nice to have a pet friendly hotel. And omg! The burger with avocado looks so yummy! It’s nice to hear that there are hotels that allow you to take your pet. We are getting a dog this month, so we’ll have to take all of that into consideration. That sounds great. Pets are family too and I would love to take them almost everywhere I go. 🙂 I agree. I plan all of my trips and destinations around Dexter. I love that you are sharing your knowledge of dog friendly places! I want to travel more with my dogs, but sometimes can’t find a lot of information on where to stay or go. Thank you so much for sharing! Aaaaargh, this post is a bit of a tease for me. Unfortunately most of our holidays involve trips abroad (we have family in the UK), so taking our pal with us is a lot more costly. It’s not the plane trip that’s the problem; it’s all these crazy fees you have to pay on arrival. So hard. I only travel within the US. Of, course all my family is here too. Oh my! This is so wonderful place to spend holidays. The rooms, the foods, are totally awesome! And holidays with the cute dog? Oh. Sounds perfect! Thanks, Gladys. The Holiday Inn was a great spot. We had a great experience. It looks so fun! Love that the place is pet friendly. It give much more meaning when traveling with pets. Glad to help share great dog-friendly hotels.